The list must be working! Two days after I wrote my Canning To-Do list, and I've already completed two items from it. First, I had to give canning tomatoes a try. The tomatoes at the Snell Family Farm stand were so beautiful, even though they were seconds- hard to believe! At $10 for 10 lbs. of slicing tomatoes, I thought that was a good deal for canning. Add in another $0.83 per jar (for the cost of the jar itself), and each jar of crushed tomatoes cost me $2.25, about twice as expensive as jar at the store. So monetarily, these may not be worth the work. However, there are other valuable reasons for canning, such as taste, control over added ingredients (or lack thereof! 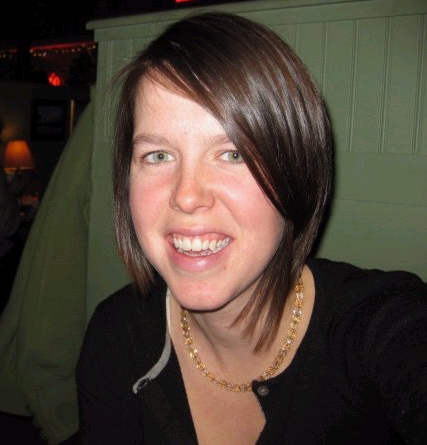 ), and a reduced environmental impact. The process was a lot of work, but not any more so than any other canning recipe (it took me about 2.5 hours). All right, let's get into it. First, I peeled the tomatoes. Wash your tomatoes, and mark an 'X' in the bottom of the tomato. (Is the top and bottom of a tomato universally recognized? The bottom is the non-stem end.) 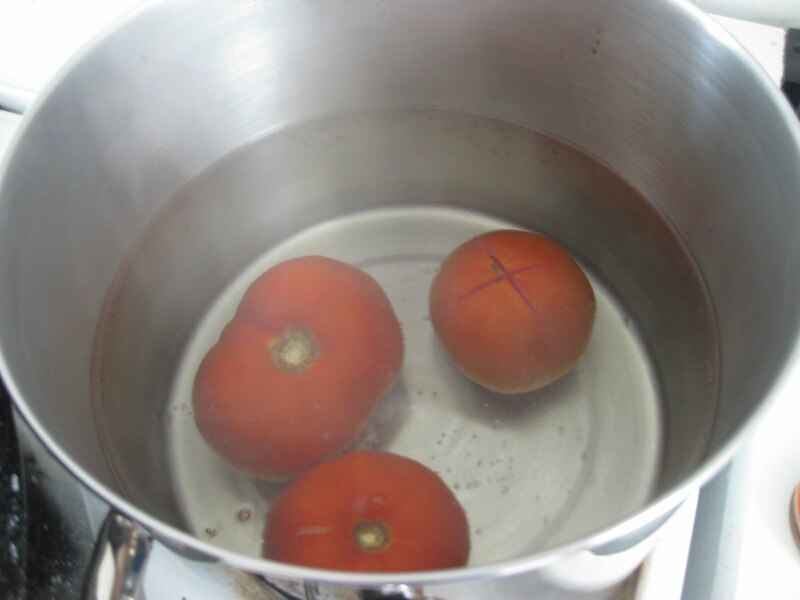 Drop the tomato into boiling water for 30 to 60 seconds, and then place in ice water to cool. The skins should slip off easily when cooled- and this time I mean it, this is not a should, like beet skins! I left my tomatoes in the boiling water for while I peeled and cored the ones I'd just taken out. So 1st batch of tomatoes in, wait, tomatoes out, 2nd batch tomatoes in, peel and core the 1st batch of tomatoes, 2nd batch of tomatoes out, 3rd batch in, etc. Now this is where you decide what kind of tomatoes you want. Whole in water? Halves in water? Crushed in their own juices? If you are going halves or crushed, cut up the tomatoes. For crush, quarter them and place some (approx. 1/6th- how much is that!??) in a stockpot on medium-high heat. Mash the tomatoes with your spoon or a potato masher. 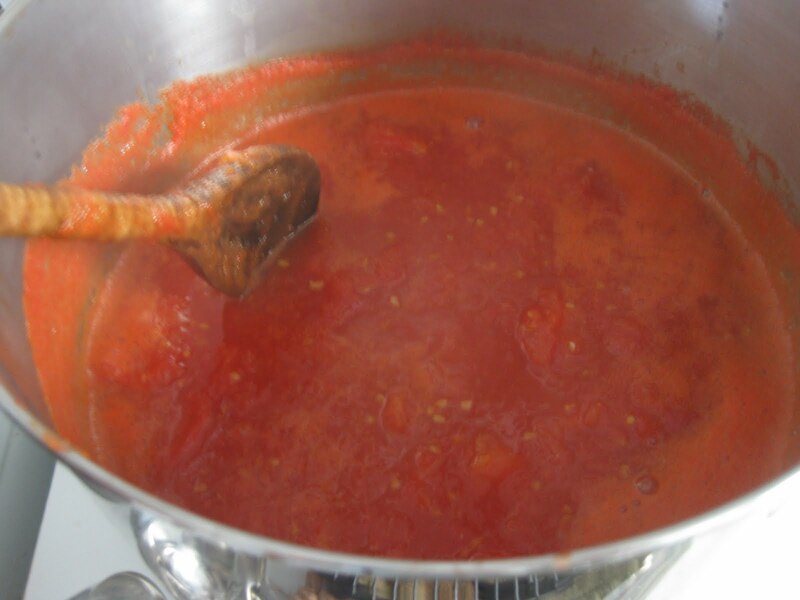 Heat the small amount of tomatoes to a boil, and gradually add the remaining quarters, stirring frequently. Return to a boil. 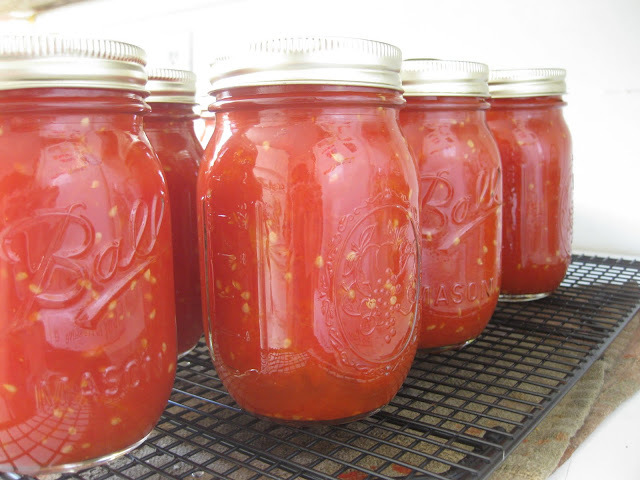 If you are canning halves or whole tomatoes, add the pieces to a sterilized jar and cover with boiling water, leaving 1/2" headspace. Tada! This sounds like the easiest process, but I wanted to try crushed first. 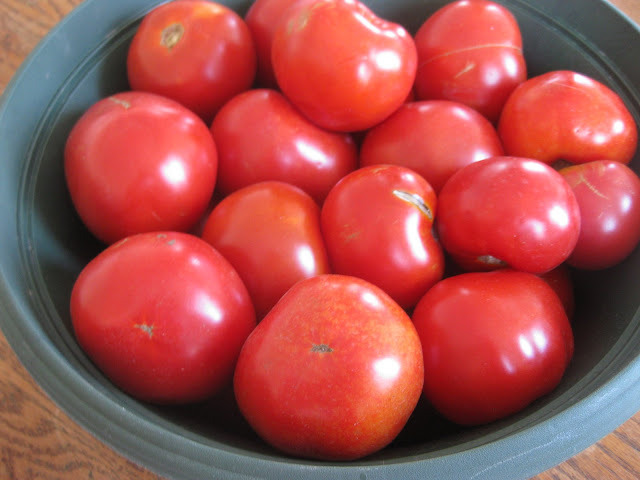 For crushed, boil the tomatoes for 5 minutes. 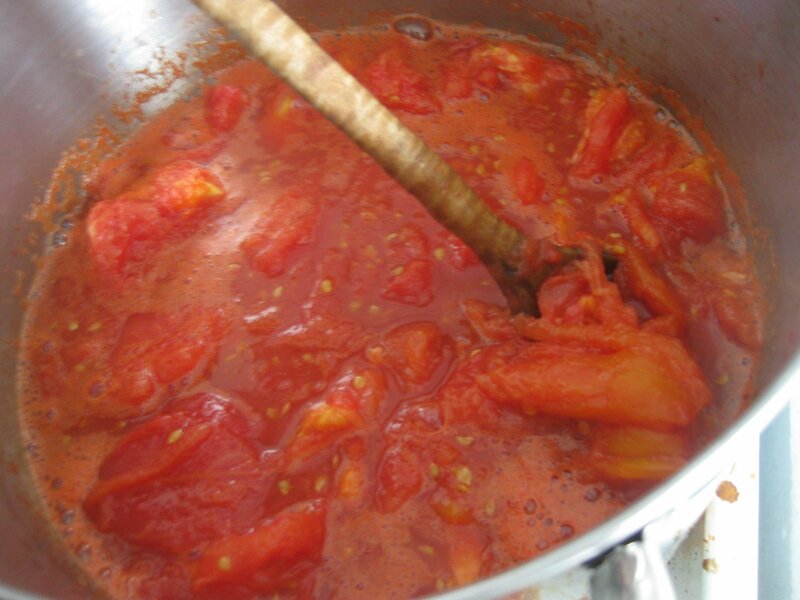 You do not need to mash the remaining tomatoes; they will soften and break down during the boiling process. Your sauce will now look liked crushed tomatoes! Now, let's talk acid. No, not THAT kind. Because tomatoes have a pH that puts them on the border of high-acid and low-acid foods, you need to add acid to make them safe for home canning. This applies whether you are boiling water bath canning or pressure canning them. 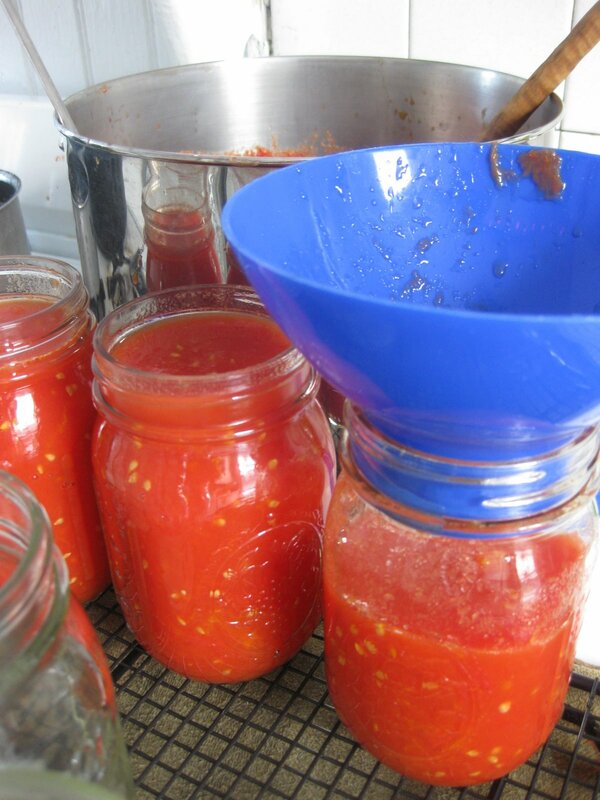 Add one tablespoon of bottled lemon juice per pint jar of tomatoes, two tablespoons per quart jar. 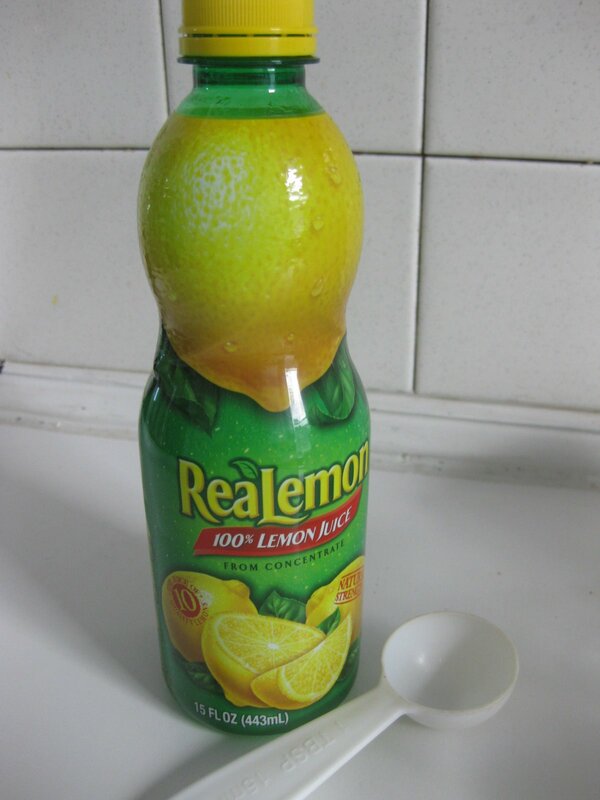 The USDA calls for bottled lemon juice, since it will have a consistent pH, unlike fresh lemon juice. This is a safety issue people, so please, do as you're told, like good little canners. If you want to avoid the lemon juice flavor, you can use 1/4 teaspoon of citric acid per pint or 1/2 teaspoon per quart jar. 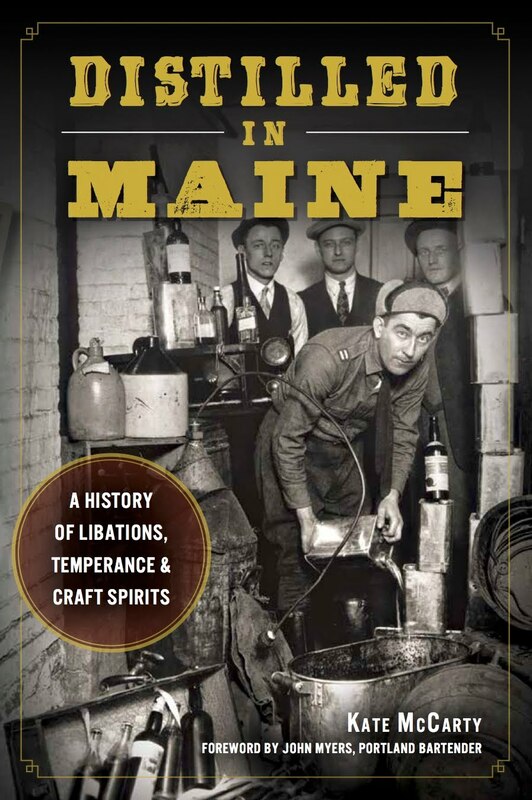 Citric acid is available from Mrs. Wages or New England Cheesemaking Supply. You can add the juice directly to your sterilized jars, before you fill them with tomatoes. And then ladle away! Leave 1/2" headspace, wipe jar rims, apply headed lids and then screwbands. 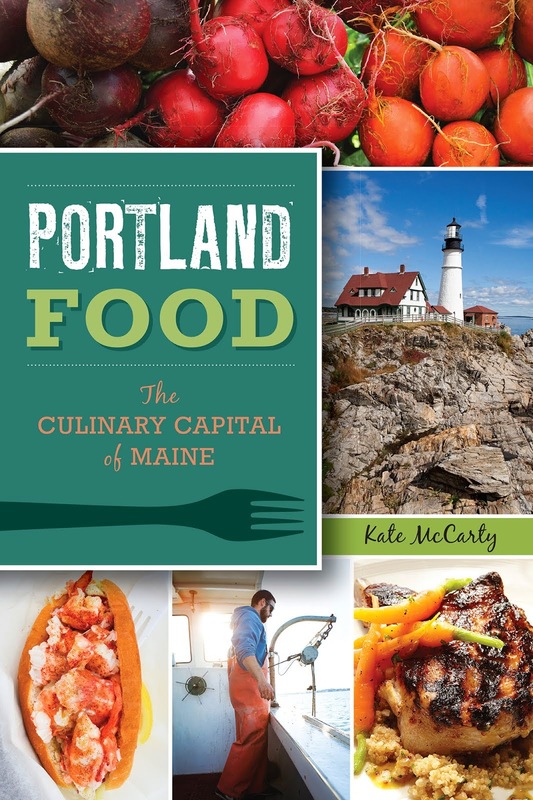 Process crushed tomatoes in a boiling water bath canner for 35 minutes for pints and 45 minutes for quarts. To pressure can, process for 15 minutes (pints or quarts) at 11 pounds in a dial gauge canner and 10 pounds in a weighted gauge canner. 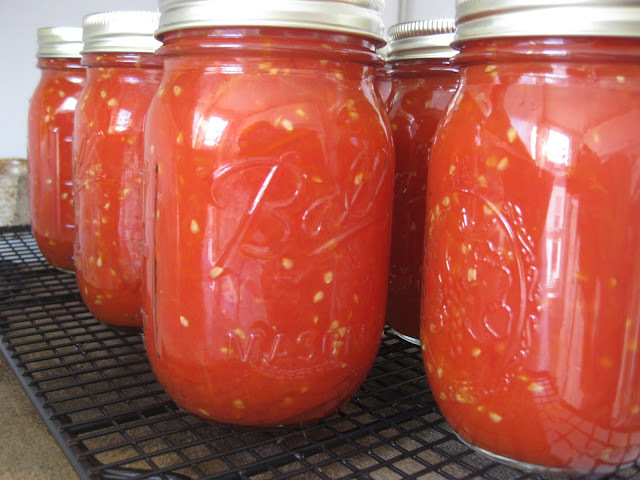 To find processing times for high altitudes or for whole or halves tomatoes, visit the National Center for Home Food Preservation's page on how to can tomatoes. After 35 minutes is up, pat yourself on the back, because you just made homemade crushed tomatoes! Awesome! Like I said, I got 7 jars from 10 lbs. of tomatoes, but you can start with as many or as few tomatoes as you'd like. You'll get about 1 quart jar per 2.5-3.5 lbs. of tomatoes. Now I'm going to go admire the FRUITS of my labor, ha. Here's hoping you find yourself up to your eyes in tomatoes soon! Impressive work! I like your beet remark, because I find peeling cooked beets to be very difficult. No lie, I often eat the skin. Woops. I just make sure they're carefully scrubbed before I roast them. Tomatoes are the only fruit I didn't can this year. Le sigh. Obviously, you have canned more than you will need. You should give some to your sister.